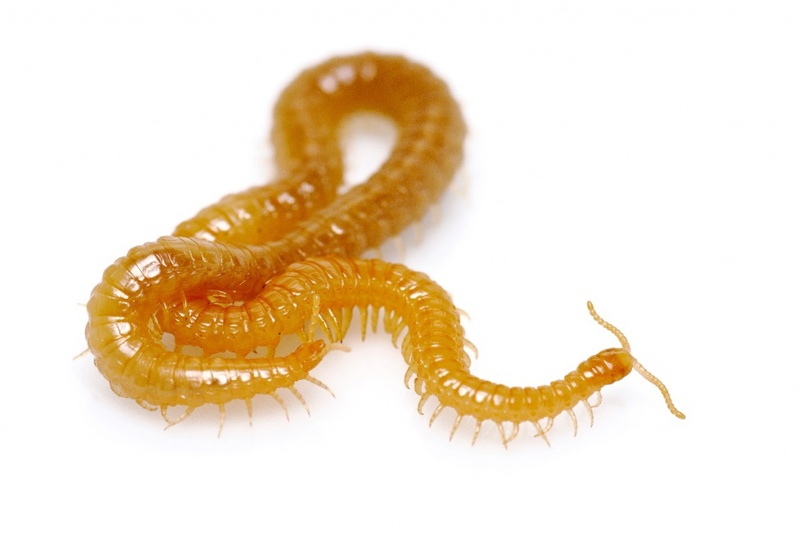 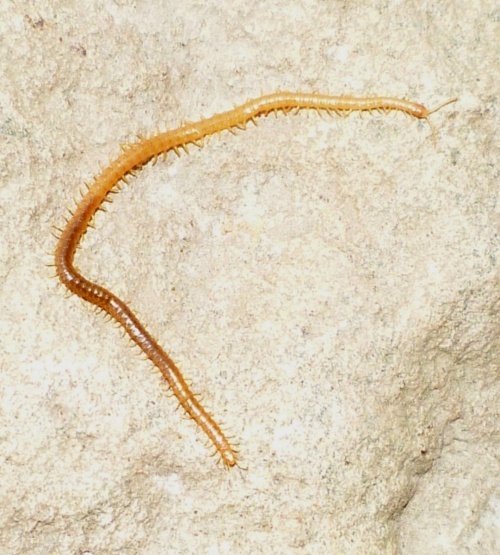 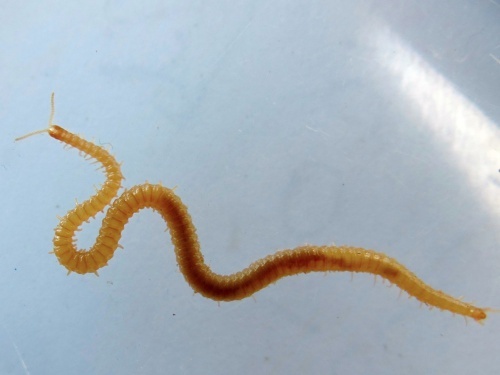 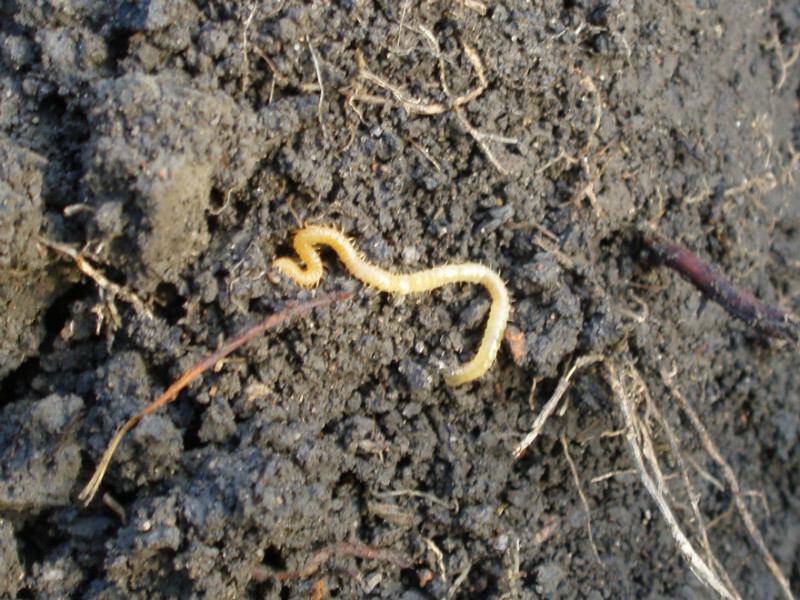 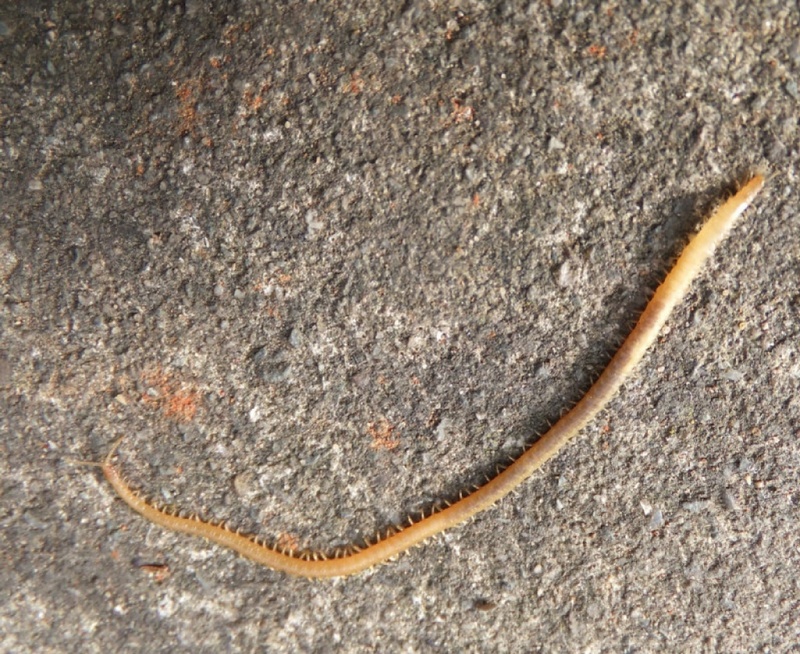 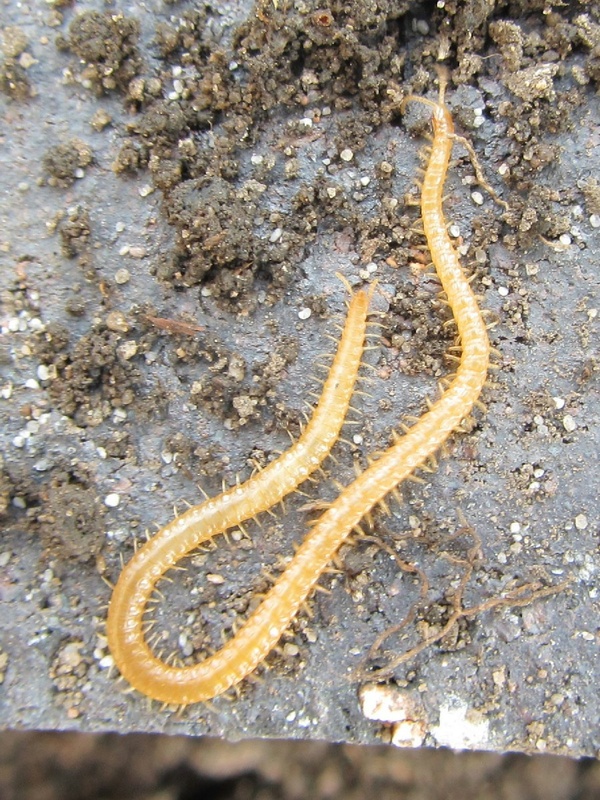 This is the longest centipede found in the UK, it is yellow/orange and up to 70 mm long. It has between 77 and 83 pairs of legs. 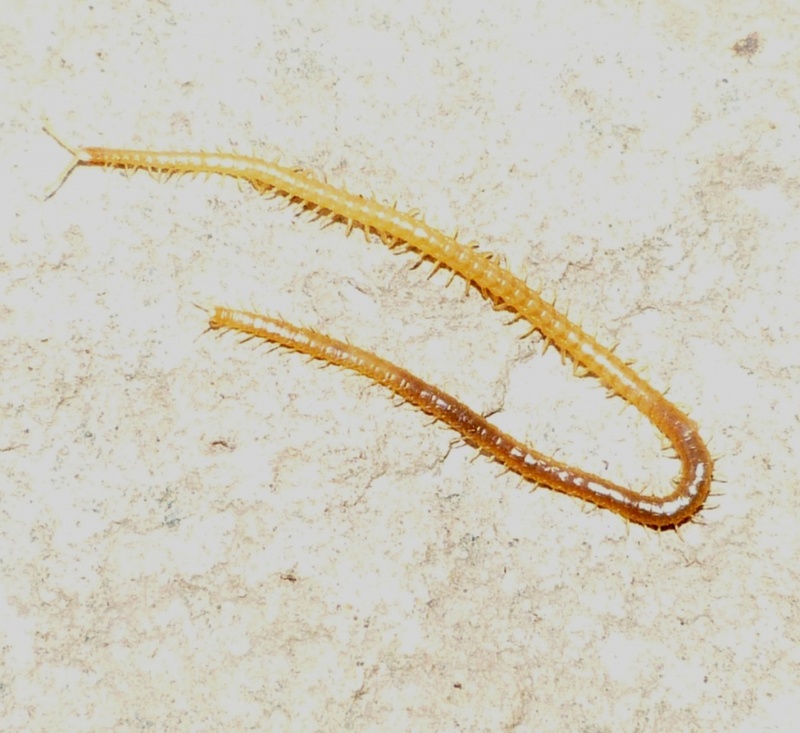 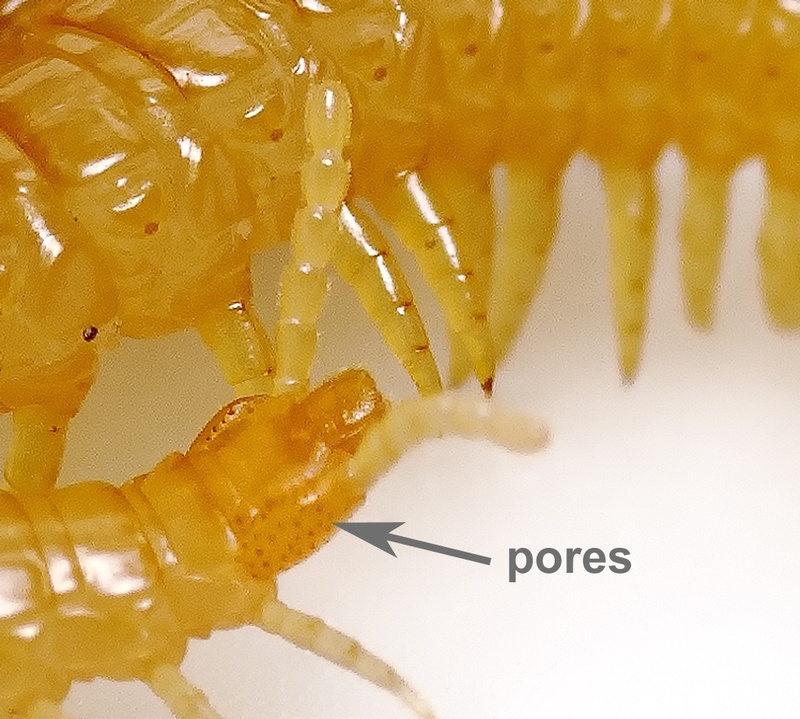 It is a 'geophilid' centipede which lives mainly in leaf litter but can also be found under stones. 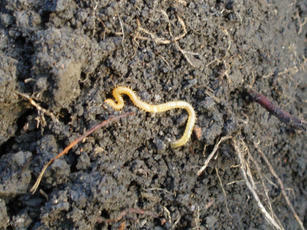 Widespread and fairly common in southern Britain at least, not well recorded elsewhere. 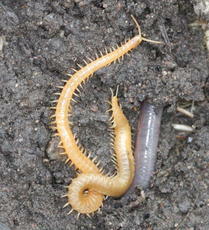 Common in Leicestershire and Rutland where it has been recorded from at least 77 sites.